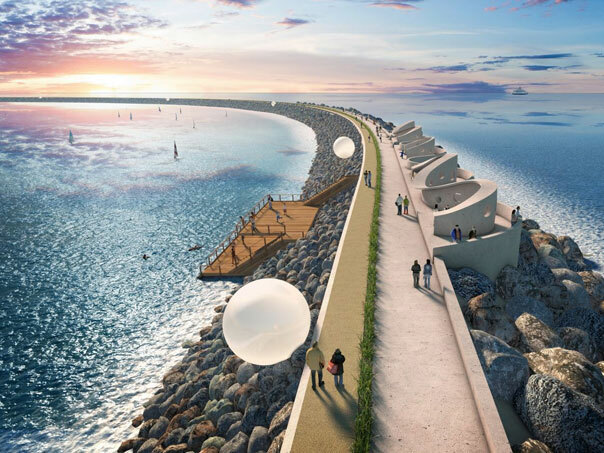 Swansea’s hopeful tidal lagoon project has been boosted by a major vote of confidence while the UK Government considers whether or not to support it. Fund Managers for billions of pounds of Welsh public sector pension funds have announced their provisional support for the scheme. The endorsement by the eight members of the Joint Governance Committee of the Wales Pension Partnership (WPP) is seen as the first step in a potential investment in the £1.3bn renewable energy project. Such an investment would join significant financial backing from other investors to help deliver the project. Meanwhile, despite media speculation the UK Government has given no clear date for delivering it’s verdict on the scheme, although many predict an announcement is immininent. “It is fantastic news to learn that the WPP is backing the Swansea Bay Tidal Lagoon. It is an indicator that they will invest in the scheme should the Westminster Government give the project the green light. “Of course, any evaluation and decision they take would not be political; it would be based on sound professional financial advice by pension fund experts. “Pension fund managers are an extremely cautious group. They recognise the importance of investing for the long term and they also recognise that pension funds need to look carefully at the impact of what they do. “In this case they believe that it is worthwhile to examine the opportunities in investing in the future of a green technology that has the potential to generate sustainable energy for a century to come, as well as acting as a major boost to the local economy. “The Swansea Bay Tidal Lagoon offers WPP a rare opportunity to invest in a significant infrastructure project right on our own doorstep. Investment by pension funds in such projects is being encouraged by the UK Government. “We welcome the WPP support for the lagoon. “The scheme would be enormously positive for the region because of the jobs and export opportunities it would bring. “The project would boost the work we’re doing to improve lives through the £1.3bn Swansea Bay City Deal; this includes the research and advancement of sustainable energy as a key theme.